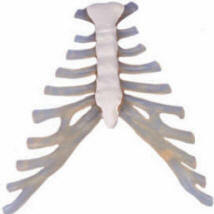 Flexible spine with ribs shows the interaction of the ribs, spine and associated structures. Fully flexible. Full pelvis and occiput. Full rib cage. L3-L4 disc prolapse. Spinal nerve exits. Cervical vertebral artery. 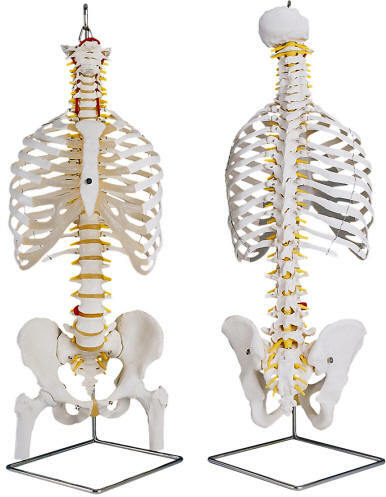 No spinal column or sternum.